Back in September, X-Men: Apocalypse director Bryan Singer took to Instagram to announce his next project, 20,000 Leagues Under the Sea. The news came as quite a surprise to most fans, but the director reiterated that he isn't abandoning the X-Men universe. We never heard any further updates since then, but today Deadline reports that the director has now closed his deal with 20th Century Fox, which has given 20,000 Leagues Under the Sea a green light for a fall production start. Here's what the director had to say in a statement, confirming some of the original characters from Jules Verne's novel. "I'm incredibly excited to be working with my friends at Fox, with whom I've had such a long and fruitful relationship. Ever since I was a boy and first discovered the 1870 Jules Verne novel, I have dreamt of retelling this classic story. Without revealing too much, it contains not only the original characters of Captain Nemo, Ned Land and Professor Aronnax, but also some new and original characters and Sci Fi plot twists culminating in a timeless adventure for all ages." Rick Sordelet and Dan Studney wrote the screenplay adaptation, working from a story they both created with Bryan Singer. The director is expected to start prepping 20,000 Leagues Under the Sea right away, while putting the finishing touches on X-Men: Apocalypse before that superhero adventure hits theaters on May 27. Bryan Singer will also produce with Jason Taylor, who runs the director's Bad Hat Harry production company. Disney has been developing their own version of this classic story, with their adaptation entitled 20,000 Leagues Under the Sea: Captain Nemo. David Fincher was attached to direct for some time, but he ended up bowing out in favor of making Gone Girl. We reported in August 2014 that Disney was planning on starting principal photography at some point in 2015, but we haven't heard anything about that project since then. 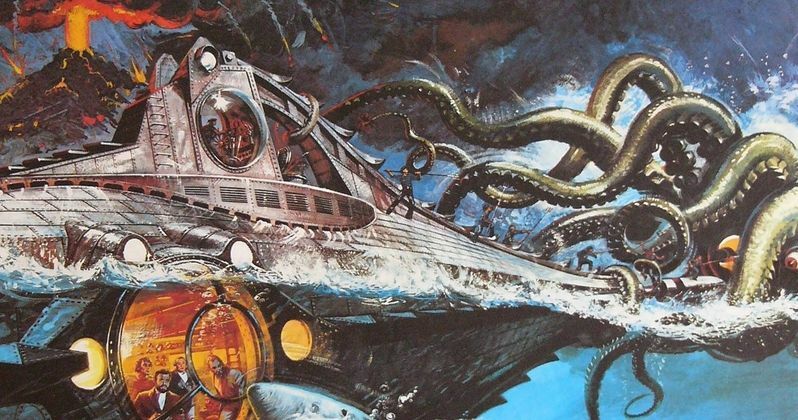 What do you think about Bryan Singer taking the helm on 20000 Leagues Under the Sea for 20th Century Fox?